It was still blowing a gale from the SW in Foveaux Strait on 8 Feb, but we decided that the conditions would ease long enough to get some northing before the next blow. 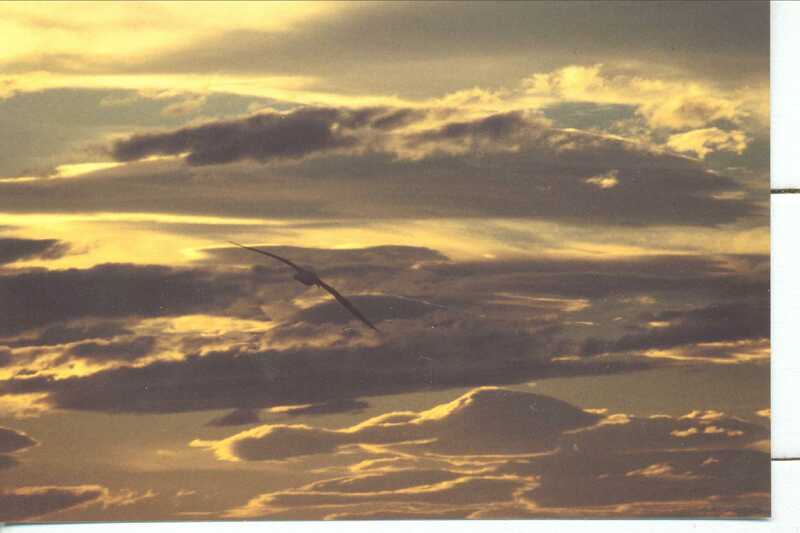 We had a sunny seighride trailing albatross all day. By nightfall, the wind was well down, as we escaped the compression zone of the far south. The rest of the two day passage to Akaroa on the Banks Peninsula was uneventful. We had taken radioed advice that Akaroa would be an ideal spot to leave 'Sunstone' on a mooring while we went with Vicky's sister, Annabel, to walk the Milford Track. Akaroa's proximity to Christchurch also allowed us to go shopping for essentials such as new rucksacks and a repair to the computer. Though it is a tourist town, Akaroa was delightful. It is set in lovely surroundings and has an extremely welcoming Cruising Club - where we also managed two racing fixes. We made a number of new friends among them Garry and Rana Symes, the parents of Tim, who we'd met in the Caribbean and Kit and Rob Grigg, who we have since seen aboard 'Leda' cruising in the Tasman Bay. Initially there seemed to be no hire cars available in Christchurch at all, but we managed to find one just before Annabel's arrival. After a brief tour of Christchurch - a pretty and bustling city - another visit to the dentist for Tom and a practice walk in the hills, we set off on our land cruise of the South Island. Aided by the excellent NZ roads and the lack of traffic outside the main cities we made a scenic swing through Arthur's Pass, at the northern end of the Southern Alps, to the west coast and then south to Franz Josef, which lies at the foot of the glacier of the same name. 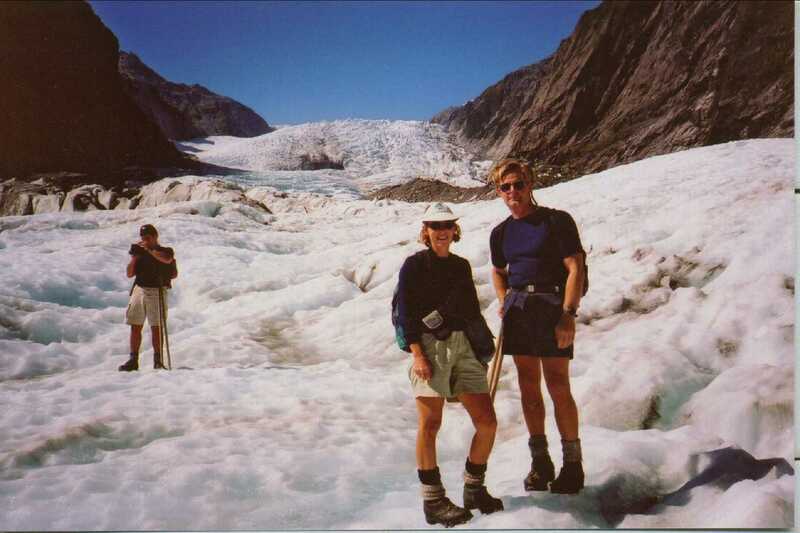 After a night at an excellent 'backpackers' hostel, we spent the next morning walking up to and on the Glacier - in shorts, tee-shirts and bright sunshine. Another scenic drive along the coast and then through an area of lakes brought us to the major centre of South Island tourism, Queenstown. 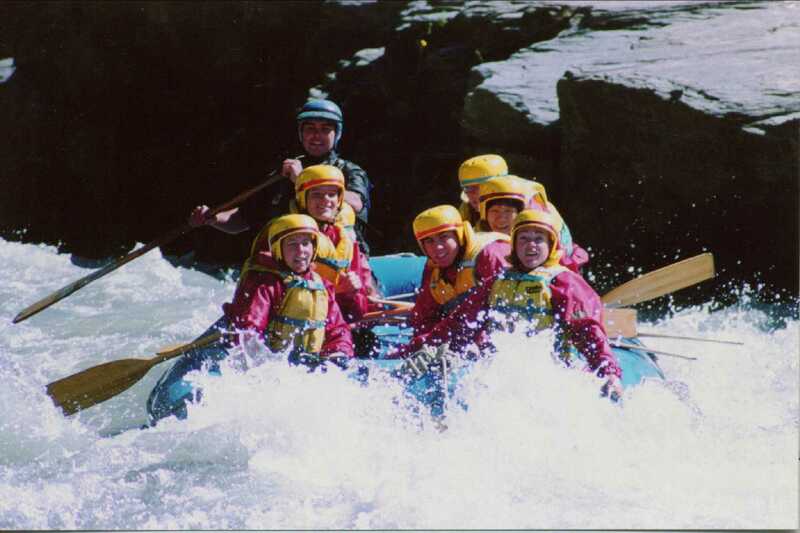 Two days in Queenstown gave Vicky an opportunity for 'thrill seeking' by going white water rafting, but not bungie jumping, while Annabel and Tom prepared themselves in more sedate fashion. Our careful plans to see the first race of the America's Cup on the TV at our hostel were foiled by lack of wind on the Hauraki Gulf. The next day we drove to Te Anau to catch the ferry along the Lake to the start of the Milford Track. Our experience of the Milford Track couldn't have been better. Unusually, we had perfect weather, rain falling only on the first night between midnight and 0200. As we had begun to suspect, much of the track itself is beautiful, but hardly challenging. 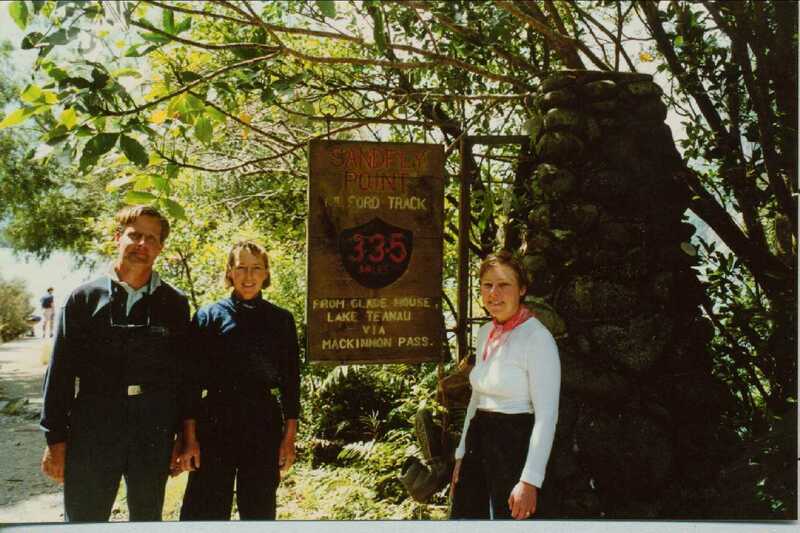 The Track is very well maintained and long stretches of the valley sections at the beginning and end are more like a walk in the park than a wilderness track. 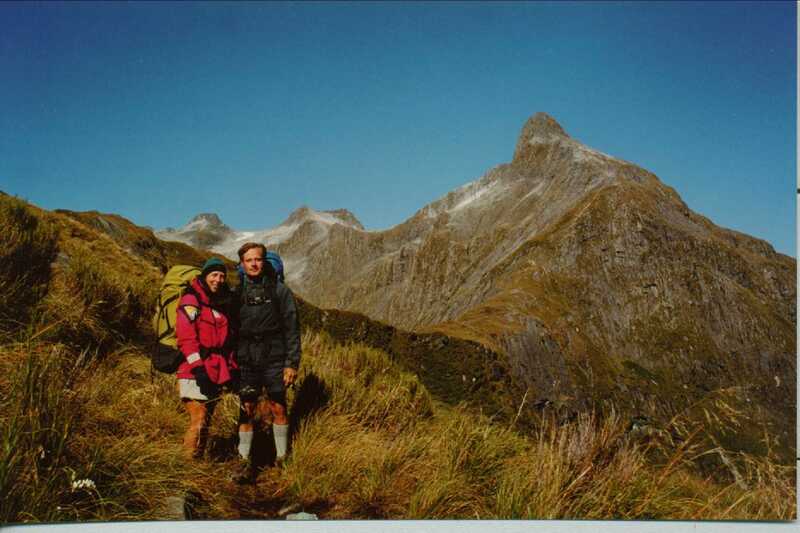 However, the climb up to MacKinnon Pass, though well graded, is demanding, and the much steeper trek down the far side is a real test for middle-aged knees. We did the climb up to the Pass twice, once in the afternoon and again the next morning, just in case Vicky missed any photo opportunities through bad light or low cloud. It is a spectacular view, even if Tom is happy to stay well back from the edge. The track must have been much more demanding even a decade ago. 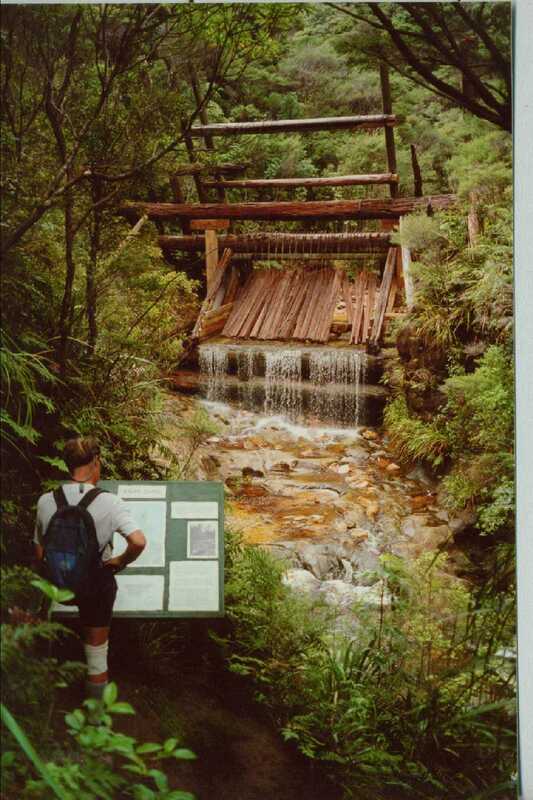 There are now boardwalks over the swampy sections and flights of wooden stairs along the steep valley section where the Arthur River cascades down to sea level. The huts for the independent walkers are very comfortable and far better than we'd expected. We tried to get out fairly early each day to preserve the sense of being on a wilderness hike - with 80 walkers a day starting the Track, it is an illusion that is a little hard to maintain at times. About 8000-10000 walkers a year complete the Track, an amazing through-put and an essential source of income for NZ's Department of Conservation to allow it to maintain all its other tracks, huts and conservation schemes, which have little or no income. Wally and Shirley Gross very kindly gave us comfortable beds and a wonderful celebratory meal in Milford. The next day we did the full tourist trip on Wally's cruise boat around the Sound and then made our way back to Queenstown. By the time we arrived back 'home' in Akaroa we were happy to see 'Sunstone' bobbing safely on her mooring. Annabel caught her flight back to England the next day after we saw the third race of the AC on a wide screen pub TV. A quick trip around the other side of the Banks Peninsula to Lyttleton got us back into sea mode again. After the kind hospitality of Tim and Ann Thompson, port officers for the OCC, we set off for Picton in the Marlborough Sounds at the north end of the South Island. On passage we listened on radio to the wholly expected and deserved victory of Team NZ in the AC, marvelling at Russell Coutts strength of character to give Dean Barker the helm in the moment of victory. Though the Cook Strait is renowned for its gales, our passage through it was calm - until the tide rips of the Tory Channel entrance, which are made yet more interesting by the regular passage of large, fast ferries. Picton, at the inner end of Queen Charlotte Sound is a ferry terminal, full of tourists in transit. However, the marina just outside the town is very sheltered and was an ideal spot for us to get biking again. 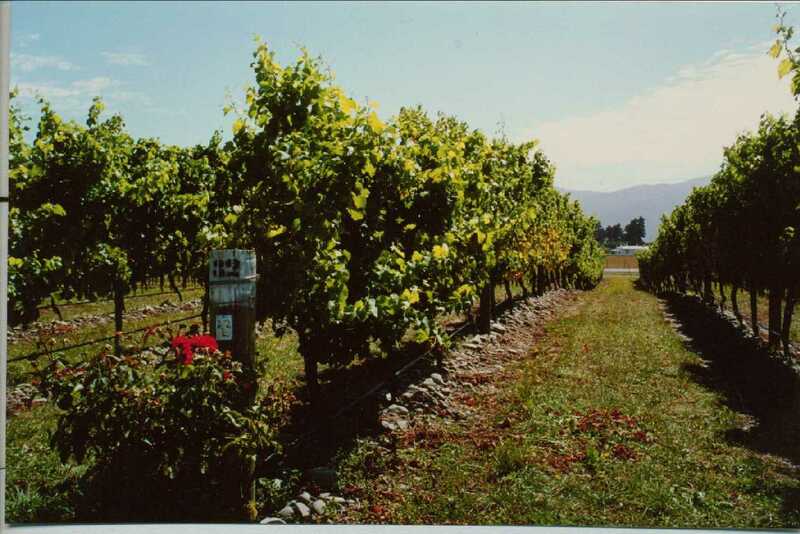 We practiced with a short tour up the scenic Queen Charlotte Drive and then set off to Blenheim and the Marlborough vineyard country, where we went wine-tasting and then wove our way back, wavering more from tiredness than alcohol after about 80 kms of biking. While at Picton we also caught up with Steve and Jenny Milliken of 'Far Horizons', who we had met several times in the Pacific. We also acquired charts for the Chilean Channels through the kindness of Oliver Grigg. That sounds like a bit of a commitment, but a few years down the watery road. Having got ourselves biking fit, we decided to try something challenging, so we moved on to Endeavour Inlet in Queen Charlotte Sound. From there we set off to bike the central 23 km section of the QC Track. The steep down bits were as challenging as the up, and we each had a gentle topple, but still made good time both on the Track out and the road back along the pretty Kennepuru Sound coming back. Despite aching legs and bottoms we moved on the next day toward Nelson, with a brief stop at the outer end of Pelorus Sound. It was also time to escape the deafening and all pervasive noise of cicadas, which are everywhere in the Marlborough area. Fortuitously, while on passage, we heard Peter Foster of 'Reliance' on the radio. Having braved the swirling tide of French Pass, south of D'Urville Island, we met Peter - finally - for a few hours at an anchorage west of the Pass before he went through with the next tide. We had a full and frank exchange of views about cruising over the remains of Vicky's Christmas fruit cake and parted company having agreed entirely about Tony Marchaj's good sense in 'Seaworthiness; The Forgotten Factor'. Nelson, at the southern end of Tasman Bay has its own dry micro-climate, where the winds are generally moderate, while they howl through Cook Strait to the NE. It is a busy port and regional centre, and the town has been attractively modernised, with lots of trees and pedestrian-friendly shopping. There is an excellent marina, a welcoming and active Club and excellent haul-out and repair facilities. Interestingly, it is the only place south of Tauranga that seems to have any significant number of foreign visitors. Perhaps you can tell that we were quite taken with Nelson - so taken, in fact, that we went back in June, for our haul-out and major job to re-teak 'Sunstone's' decks. Following another successful racing fix at Nelson, we went to lovely Torrent Bay, from where we could go walking in Abel Tasman National Park. 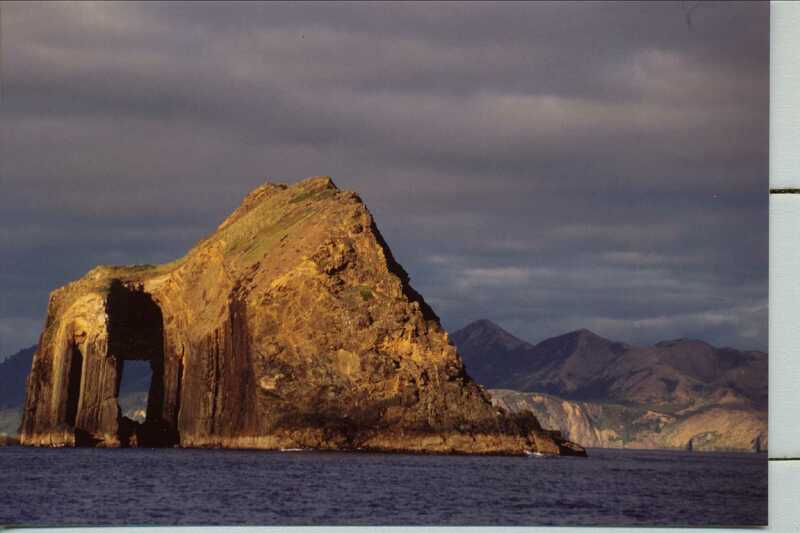 From there we sailed to D'Urville Island, probably our favourite cruising ground in the Cook Strait area. 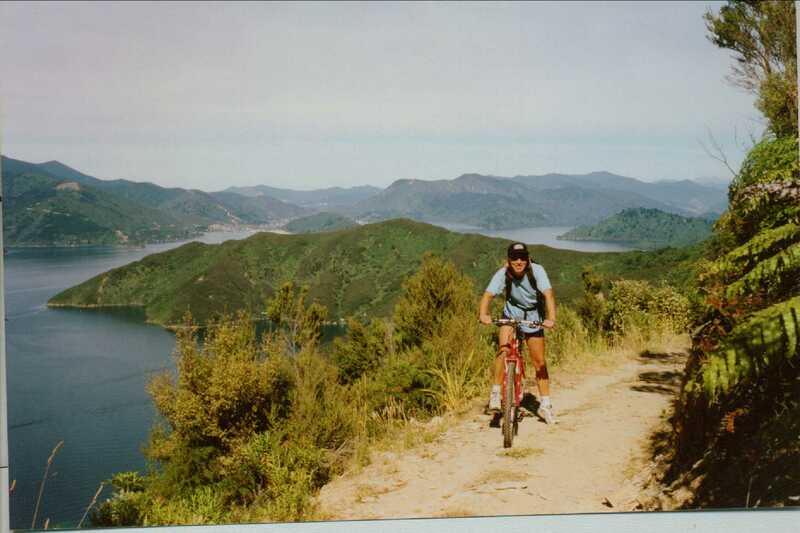 The anchorages were more snug and the scenery more varied than much of the rest of the Marlborough Sounds. After a quick exploration of Pelorus Sound, on 28 March, we headed for Paremata, home of the Mana Cruising Club, just north of Wellington. Peter Foster and his wife Penny made us very welcome. With the weather turning autumnal, we took what looked to be a window for the short sail round to Wellington. It was fast and pleasant until we turned to beat up Wellington harbour into a 40 knot northerly. This was only a foretaste. We had planned to spend only two or three days in Wellington, but this became nearly a week, while the wind shrieked from the north the whole time. For the boats based there, trysails are standard racing sails! We used the time well, renewing passaports, visiting the excellent national museum, Te Papa, and buying scores of second-hand books. Finally, at half-time, watching a rugby match on TV at the Royal Port Nicholson YC, we noticed that the wind had dropped. We were headed out of the harbour half an hour later, and just made it to Cape Palliser, 35 miles to the SE before the wind came southerly. We carried this fair wind right up the East coast, past the notorious East Cape and to within about 60 miles of Tauranga, where the wind came on the nose and blew hard for twelve hours. We spent the night happily hove to and motored in the next morning in a flat calm. In Tauranga we caught up with a number of cruising friends who had spent the summer there, touring the country by car. They reported the refit facilities to be excellent and much cheaper than further north. The port itself is very big, while the town is a bustling, rapidly expanding place, far livelier than the spleepy retirement area we had expected. By this time we were in the home straight for completing our New Zealand circuit, but we also knew that we had several interesting areas to visit. A rolly night at Mayor Island and two skipjack tuna were all it took to get us to Whitianga on the eastern coast of the Coromandel Peninsula. Here, we had an unexpectedly lively time, taking two long bike rides, one of them across the Peninsula to visit Tony and Dawn of 'Cape Providence', to whom we were able to deliver a photo of the Cape itself, taken on the way to Preservation Inlet in the far south. We also caught up with Derek and Dot of 'Hibiscus III' and Haven and Monica Collins, friends from long-ago in East Anglia. After a pleasant sail to and night at Mercury Island, we carried on to Great Barrier Island at the Easter weekend. Despite assurances from our New Zealand friends to the contrary, Great Barrier was packed. Nevertheless, we had a good hike across the Island and enjoyed its beautiful scenery - despite the gusty SWly weather. Among the crowds we were delighted to catch up with Tim & Cindy from 'Total Devotion' and Christian & Joyce of 'Touche', whose afternoon drinks session extended well into the night. It took a couple of days of gentle recuparation at Waiheke Island before we were ready for our return to Auckland and the end of our circumnavigation of New Zealand. A glorious autumn morning lit the Auckland skyline for our return through a port much quieter than we left it, with America's Cup over for another three years. We also had a quieter, more relaxing time than in October, catching up with friends, doing a few boatie errands and finally seeing the Cup itself, previously unavailable each time we visited the RNZYS. Appropriately, we said goodbye to Auckland with a delightful Sunday afternoon picnic on the water with Ross and Deb Stevenson, who had greeted us on our arrival 6 months before. A couple of gentle day sails north up the coast via Kawau and Tutukaka took us back to the Bay of Islands, where we made a nostalgic return to Pipi Cove and then to Opua.